Greetings my friends. I hope you all have been keeping well since our last overview of the mapping process. I know some of the terms can be a bit cumbersome, but my hope is to make it all as easy to understand as possible! Now friends, on to our next process – dyeing the yarn. The value of a rug is in large part driven by the look of the final product. This should be obvious; people want to buy rugs that are beautiful looking of course! The dye-master has the extremely important responsibility of getting the colors right. If the shade is off in even just one of eight colors, it can bring the value of the rug down significantly. 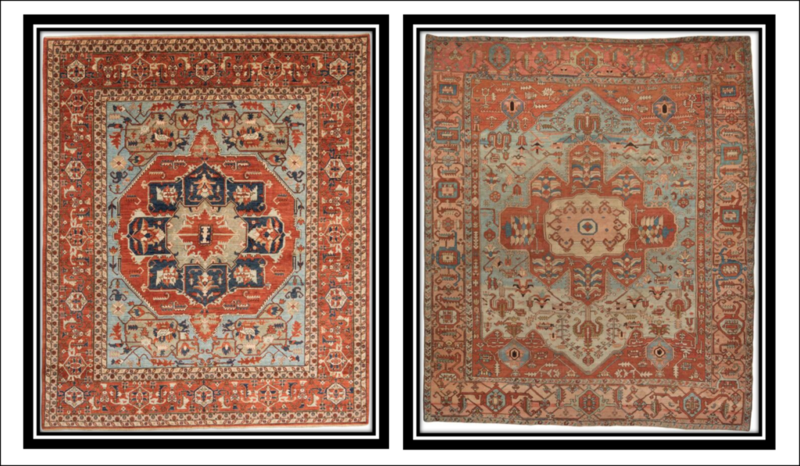 The colors of the rugs depend on the dyestuff used. There are two broad categories of dye; natural and synthetic. Natural dyes are produced from vegetables, minerals and insects (e.g., cochineal). 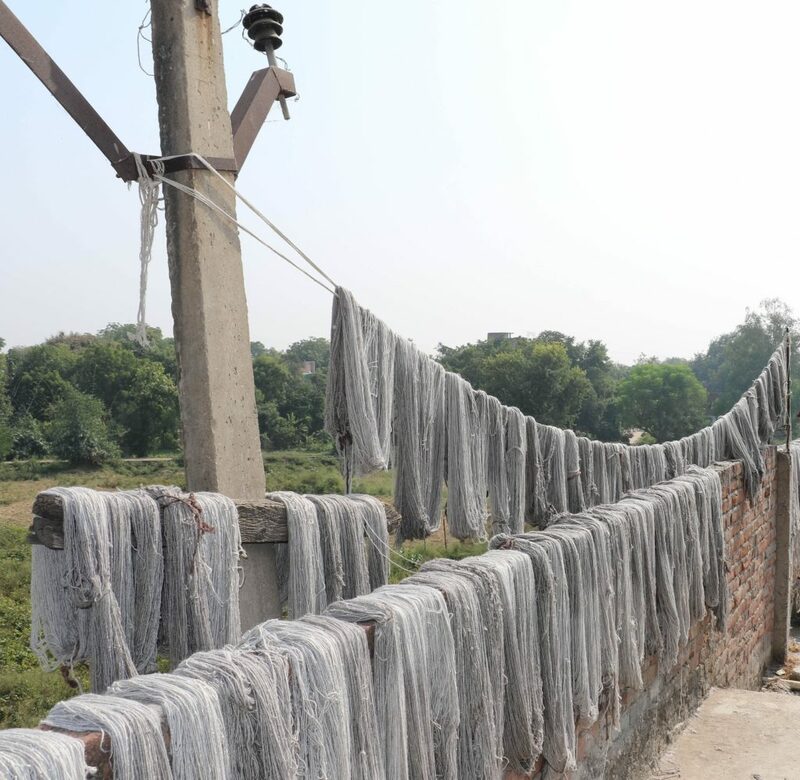 Despite their beauty and being 100% organic and natural, the cost of running a genuine natural dye production is so high that it is very rare in the rug industry today. Natural dye production is also a method that fewer and fewer manufacturers have expertise in. All of our Ultimate Persian, most of our Bamyan Tribal rugs are vegetable dyed for example, but our Essential Wool collection is not. Also, when it comes to rug programming, i.e. producing a design and colorway over and over again with consistency from rug to rug, the dye-master will have a much easier time with synthetic as opposed to natural dyes. A very important thing to mention is that there are a lot of rug dealers calling rugs “vegetable dyed” that are not. It is tragic that rugs are being misrepresented at such unprecedented levels, especially on the internet today. Video of John Kebabian with vegetable dye-masters in Pakistan. The yarn is not usually taken out of the dye-pot while dyeing, but it was so nice of them agreeing to show us how it is done and how the process unfolds. Just because a dye is synthetic does not make it a bad thing. What’s important is the type of synthetic dye used. For example, all of our synthetic dyed rugs are made with only the best quality chrome dyes. They are azo-free and 100% color fast, i.e. they can be fully soap and water washed without risk of the dyes running. Another advantage of synthetic dyes are that there are colors you can achieve only in synthetic dyes that you could never achieve with 100% natural dyes. Not all rugs are made with dyed yarn. The use of undyed wool can be very effective in achieving an 100% natural, organic look. Undyed wool is obtained straight from the sheep and cleaned before being spun into yarn. Undyed Ghazni Wool (shown above): Undyed wool is being used in all major rug producing countries. In southern Iran and in Tibetan rugs, carpet makers use undyed wool from white, brown or black sheep; these create designs that produce spotted or splashed effects, mostly achieved through the imperfect blending of unbleached and undyed yarn. Over time, a quality Oriental rug will retain its beauty, even as natural fading occurs. As time goes by, exposure to air, light, and anything that causes oxidation will cause the colors in the rug to soften. This timeless and antique look is actually something many discerning buyers look for. Of course, if a rug is made with inferior dyes, the colors will not soften beautifully, and instead the colors will fade rapidly, and possibly even change completely. 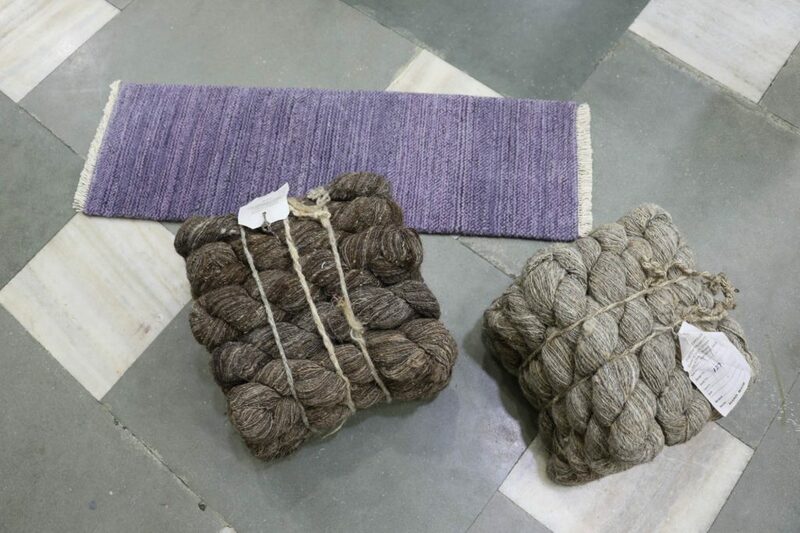 On the left is a reproduction Serapi vegetable dyed wool rug. On the right is a nineteenth century antique Serapi. I hope you have enjoyed learning more about rugs. It is such an amazing product, the most amazing product in the world in my opinion! In the next blog post I will be discussing the actual rug weaving, specifically hand knotting.